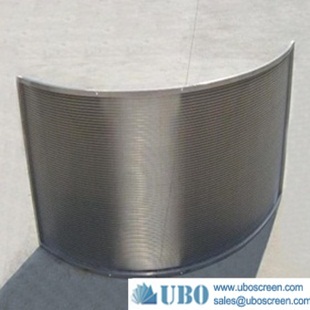 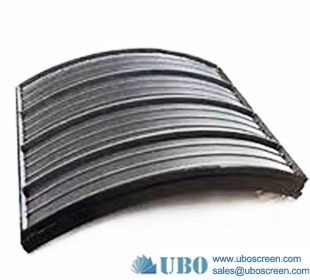 Sieve bend screens are mainly used for liquid/solid seperation and manufactured to suit a wide range of industries such as Sugar, Coal Mining & Quarrying, Mineral Processing, Cement, and Industrial & Urban Effluent Treatment etc. 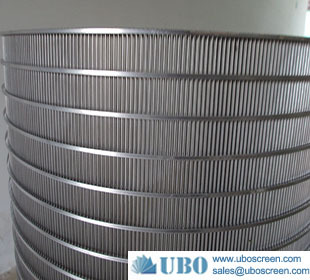 Sieve bend screens are also used as a pre-filter in urban & industrial waste treatment plants to improve the performance of the clarifier by drastically reducing the load. 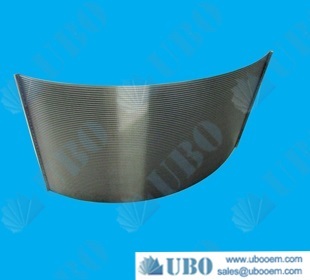 Our sieve bends offer many advantages: more fine fibre removal ,better flow rate ,original solutions to reduce spare parts cost , special alloys for improved wear life ,customised surface finishing . 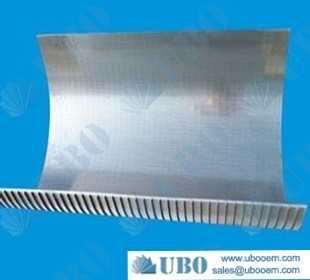 1 Compact construction, heat resistant, rust-resistant, good mechanism performance, long working life, wear-resistant, low temperature resistant, long replacement cycle, saving production costs. 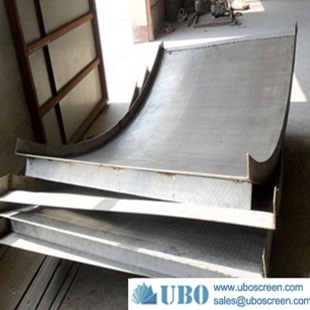 2 well-proportioned screen aperture, not prone to jam, increase quality and efficiency of refined powder. 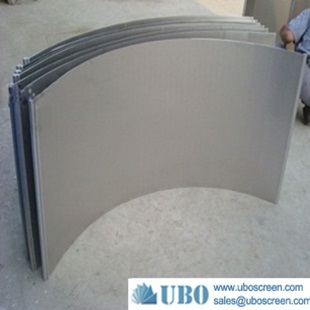 3 Proper construction, saving time and strength during installation and replacement, i.e. 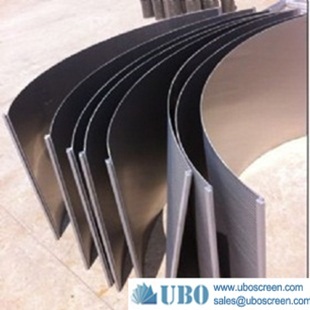 reducing time for installation, examination and maintainance, decreasing labor strength. 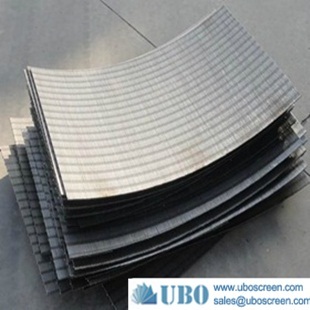 Stainless steel welded screen plate is widely used in solid-liquid separation, dewatering, filtering and screening in coal, mine and sewage disposal. 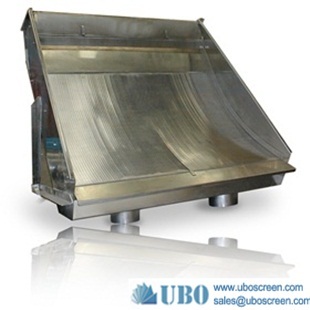 Sieve bend screening unit is the answer to many de-watering, sizing, and wastewater cleanup problems. 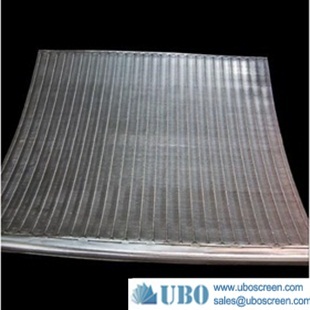 Typical uses are sewage treatment, laundry wash water clean-up, poultry, fish, fruit and vegetable wastewater processing, minerals processing, coal preparation, paper production, textile plants, and many more. 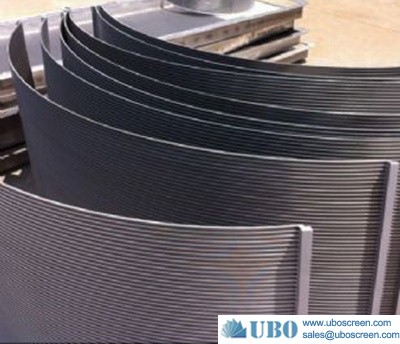 A sieve bend consists of a concave curved profile wire screen mounted in a frame with the screen openings perpendicular to the flow. 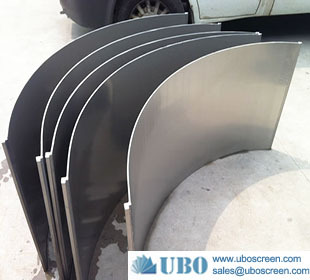 A curved screen has greater capacity than a flat screen due to forces exerted as material flows against the curved surface. 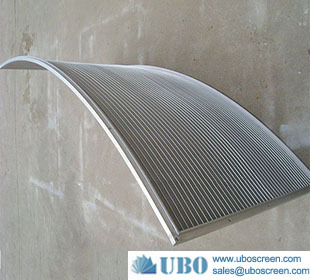 We can produce according to customer requirements and drawings.